HostGator is a popular name in the hosting industry, having been active since 2002. Their claim to fame has always been their inexpensive shared hosting plans, but their services have expanded throughout the years to include premium hosting options as well. 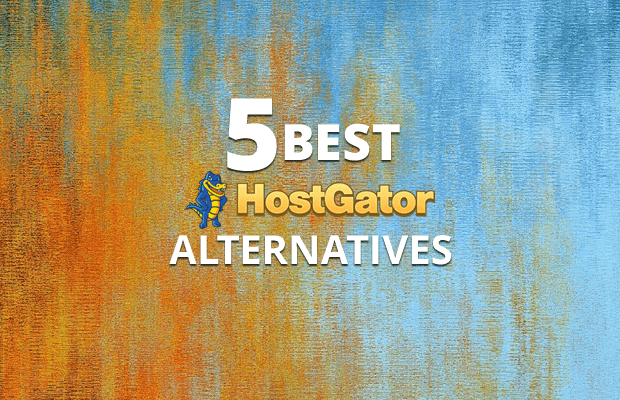 If you have your eyes set on one of HostGator’s hosting plans, but you’re not ready to sign up until you’ve taken into account all your other options, read our article to learn about the 5 best HostGator alternatives that offer similar or better hosting packages than HostGator. Before we take a look at some of the alternatives to HostGator, it’s worth noting that HostGator’s hosting plans include both Linux and Windows hosting options with their shared and dedicated server packages. For latest and best HostGator coupons, please check out the linked article. 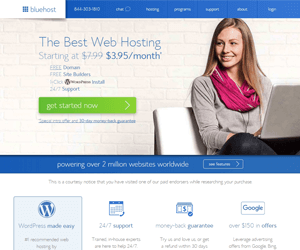 Launched in 2003, BlueHost is a web host contemporary with HostGator. Both companies operate under the larger umbrella of the Endurance International Group, one of the largest hosting companies in the world. BlueHost has gained tremendous popularity by gaining the endorsement of WordPress.org and becoming the go-to hosting for WordPress websites. At BlueHost, WordPress hosting plans start at $19.99/month. These plans are built on VPS technology, feature an enhanced cPanel, one-click installs from the MOJO marketplace, built-in CDN, SiteLock Security, and SiteLock WAF. Shared hosting is another popular option at BlueHost, with prices starting at just $3.95/month. A free domain name is included with any hosting plan not just shared hosting packages. Besides WordPress and shared hosting, BlueHost also features cloud hosting, VPS hosting, WooCommerce hosting, dedicated servers, and even reseller accounts. Other notable hosting features you can find at BlueHost include 24/7 support, mirrored drives for extreme data protection, cPanel as standard with every hosting plan, root access, 1-click storage upgrades, instant scaling, integrated caching and automated failover for maximum uptime. 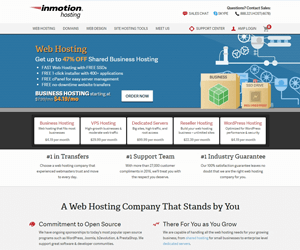 Next in our list of best HostGator alternatives is InMotion Hosting, a great business hosting provider offering advanced hosting tools for mostly advanced users, although some of their shared hosting plans are designed for all skill levels. One of the biggest advantages at InMotion is that they offer all-SSD hosting, which translates into better performance for your site. Here too, you can get a free domain name with all hosting types, although with some plans you may need to sign up for at least 6 months to get a free domain name. InMotion also offers one of the most generous money-back guarantee periods – 90 days as opposed to just 30 days offered by other companies. Full data backups are offered for free as well, and all plans include a free cPanel license. Malware and spam protection is also included with most plans. Prices for shared hosting plans and WordPress optimized plans start at $5.99/month, while VPS hosting and dedicated hosting plans start at $29.99/month and $99.99/month respectively. While slightly more expensive than the competition, InMotion Hosting stands out through their blazing fast SSD hosting, excellent customer support, and category A, PCI compliant data centers. Part of the Endurance International Group, along with BlueHost and HostGator, iPage is one of the longest-running hosts in this list. It was founded back in 1998 offering its hosting services ever since. iPage’s most popular plan is their all-unlimited (storage, email, bandwidth, domain hosting, etc.) shared hosting plan, which has one of the lowest starting prices in the industry. 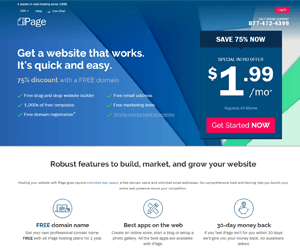 iPage’s shared hosting plan costs $1.99/month for the initial period, and renews at $7.99/month. The hosting package includes several security tools (SiteLock), free marketing credits (Google AdWords & Bing), and a suite of free site-building tools. Other than these, eCommerce tools and a free domain name are also included. While iPage does not advertise their other hosting plans that much, they do offer several well-rounded VPS, dedicated and WordPress hosting plans, allowing your site room to grow. Web hosting is not the only web service offered by iPage, their services also include domain registration, online marketing and eCommerce services. 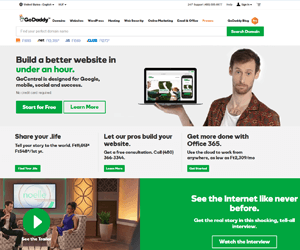 With a history spanning over two decades, GoDaddy is a popular hosting giant offering all types of hosting services covering the entire hosting spectrum. Domain registration, online marketing, and web security also feature among GoDaddy’s services. Shared hosting plans start at $3.49/month for the Economy plan, which comes with 100 GB storage. All other plans in this category come with unmetered storage, bandwidth, and domain hosting. A free domain is included with annual plans, and a Free Microsoft Office 356 Business email is also part of the hosting package. 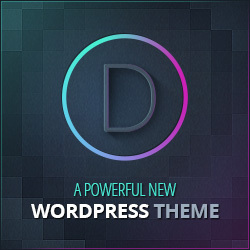 WordPress-optimized hosting plans also start at just $3.49/month. VPS and dedicated servers are available with Linux or Windows OS, the Windows ones costing more. Linux VPS plans start at $16.99/month, while Windows options start at $26.99. The same price shift applies to dedicated servers too, with Linux dedicated servers starting at $69.99/month and Windows dedicated servers starting at $99.99/month. As far as hosting features are concerned, GoDaddy certainly doesn’t disappoint offering full root access, cPanel, provision-free upgrades, managed services as standard, possibility to choose levels of management, free SSL certificate, 24/7 support, and plenty of resources. Gaining popularity due to their affordable domain registration services, NameCheap has become a household name for inexpensive web services. The company offers various hosting packages and several web security tools (SSL certificate, WhoisGuard, PremiumDNS, etc.). Hosting plans are available through several hosting categories from shared hosting to dedicated servers. Shared hosting starts from $9.88/year, while WordPress hosting starts at just $8.88/year. NameCheap’s hosting features include the possibility to choose between UK and US data centers with shared and reseller plans, a free .website domain available with all plans, 100% uptime SLA with most plans, self-managed, managed, and fully-managed server options, cPanel and WHM for free, free dedicated IPs with some plans, and more. The most plans are offered by the dedicated server hosting category, which lines up an impressive 14 dedicated hosting plans with prices ranging from $58.88/month to $379/month. 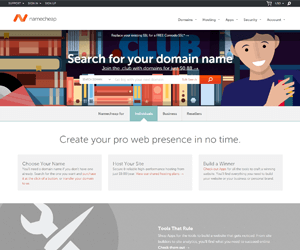 NameCheap is a veritable budget hosting with good performances, well-polished hosting plans, and reliable services, making them a great alternative to HostGator. Whether you’re looking to switch hosts, become a hosting reseller, or you’re simply evaluating your alternatives, we hope that our rundown of the 5 best HostGator alternatives has offered you some insight into the various budget-friendly hosting options available in the industry. Which HostGator Plan is The Best for You? 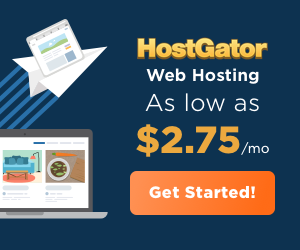 Is HostGator Web Hosting Fast? HostGator Pros & Cons – Is HostGator Still a Good Choice?